The Chiefs have named a team to play this weekend’s Super Rugby match against the Sharks in Durban with four changes to the starting line up. Chiefs coach Dave Rennie’s four changes are made up of two in the front row and two in the midfield with Sonny Bill Williams missing out this week. Williams has been clear from symptoms after his head-knock last weekend, but ran out of time to fulfill the protocol system. 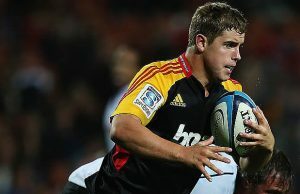 There is a new midfield combination with Andrew Horrell and Seta Tamanivalu taking over the duties from the injured Tim Nanai-Williams and Sonny Bill Williams. In the front row Jamie Mackintosh and Siate Tokolahi will start the match in the engine room, after they provided great impact when they came on last week. There have been six changes to the reserves. Forwards Rhys Marshall, Ben Tameifuna, Mitchell Graham and Johan Bardoul join back Hosea Gear as new additions to the pine.